My usual Auction Rooms disclaimer - that proprietor Andrew Kelly is a friend of mine - applies. 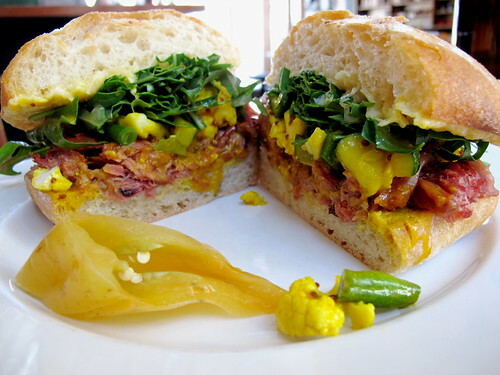 Ham hock braised for hours and hours until it is falling apart, rocket, piccalilli (made in-house English-style with cauliflower florets, courgettes, beans, cornichons, seeded mustard and turmeric) and Montgomery's aged cheddar toasted into a Dench ciabatta roll. It comes served with a pickled chilli, costs $14.50 (or $12 take-away) and is very juicy and filling. 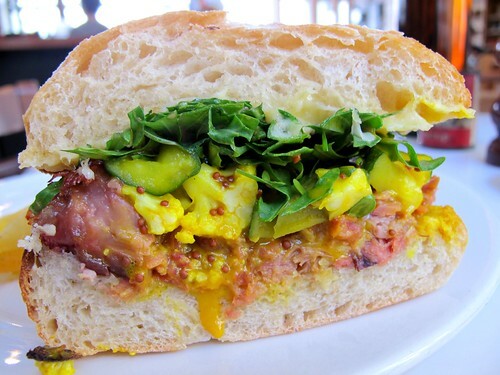 I like this sandwich as much as I like the pork belly sandwich at EARL - and that's saying something. It should DEFINITELY become an Auction Rooms signature dish, and I will kick up a huge stink with Andy if he takes it off the menu. Head down there and order a knuckle sandwich, and tell 'em Claire sent you. 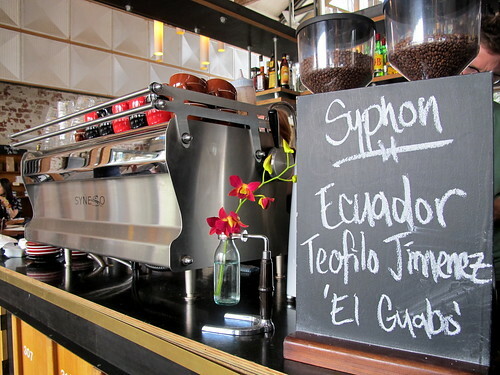 While I was there I also had a great pourover coffee, an Ethiopean Nekisse. 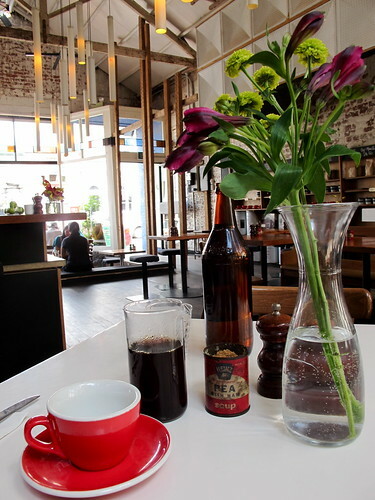 *sigh* Auction Rooms is such a pretty cafe. 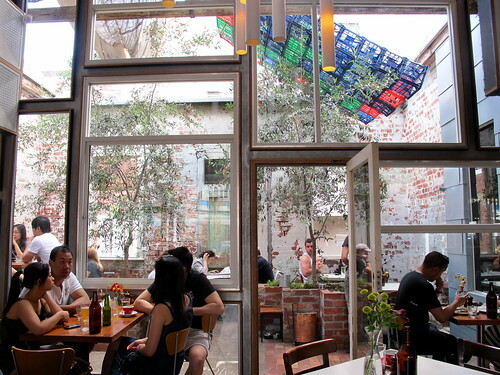 For previous Melbourne Gastronome write-ups of its brunches and lunches, click here and here. A-freaking-men. That thing is like a party in your mouth and everyone's invited. Not to mention a massive party. Oh Auction Rooms, how I love thee. I'm told they've just opened for dinner as well and it's cracking. 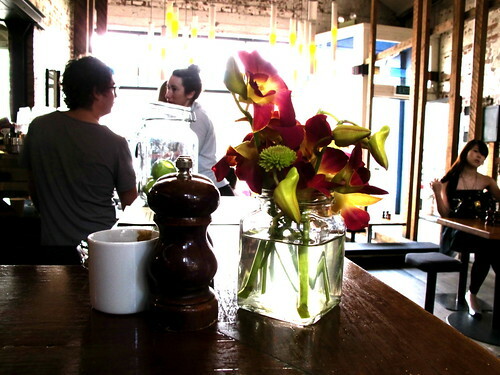 Hi wakeless - yeah they're open for dinner towards the end of the week (I think Thurs-Sat). Been meaning to head there to check it out! I've perused the dinner menu and it looks exciting. So glad this place is my local these days. Awesome coffee just round the corner = WIN. Oh and you must try the coconut stuffed french toast. Pretty awesome. aaah brilliant that sandwich looks delicious! 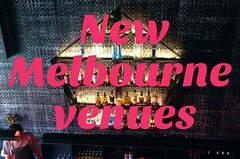 melb does things so wellllll!!! oMG, another place to add to my horrendously long wishlist now... happy and sad all at the same time. That is a good looking Sandwich! if this is as good as earl roast pork sandwich, then this must b mind blowing as well! Ag! I shouldn't be hungry yet but after seeing that sandwich - mmmmm. 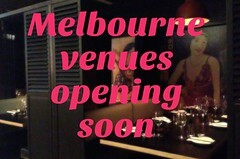 MUST get to Auction Rooms asap to try it! Thanks for your comments, everyone! Rereading them makes me want to head back to AR for another dose NOW.